Frank McCourt (19302009) was born in Brooklyn, New York, to Irish immigrant parents, grew up in Limerick, Ireland, and returned to America in 1949. For thirty years he taught in New York City high schools. His first book, Angela's Ashes, won the Pulitzer Prize, the National Book Critics Circle Award and the L.A. Times Book Award. In 2006, he won the prestigious Ellis Island Family Heritage Award for Exemplary Service in the Field of the Arts and the United Federation of Teachers John Dewey Award for Excellence in Education. Raúl Colón has illustrated several highly acclaimed picture books, including Draw! 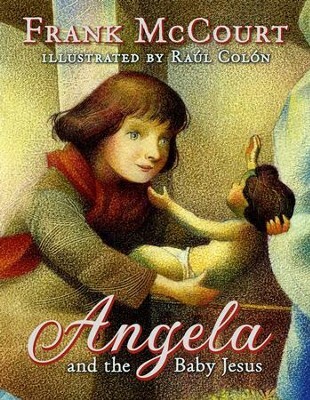 ; the New York Times bestselling Angela and the Baby Jesus by Frank McCourt; Susanna Reichs José! Born to Dance; and Jill Bidens Dont Forget, God Bless Our Troops. Mr. Colón lived in Puerto Rico as a young boy and now resides in New City, New York, with his family. I'm the author/artist and I want to review Angela and the Baby Jesus - eBook.